These day trips are all within 100 miles and an hour and a half of driving time from Louisville—perfect for a day away from home or for exploring nearby locations while on vacation. Lovingly referred to as the "Bourbon Capital of the World," Bardstown Kentucky, at 40 miles and one hour from Louisville is a great spot for a day trip from Louisville. If you love bourbon, you'll want to check out the Kentucky Bourbon Festival in September, or Bardstown's Four Roses Distillery, Heaven Hill Distilleries Bourbon Heritage Center, Historic Tom Moore Distillery, Jim Beam American Outpost, and Maker's Mark Distillery year round. If you're not into bourbon or just want to do something other than tour distilleries, check out the Abbey of Gethsemani, Bernheim Arboretum and Research Forest, and the Kentucky Railway Museum. NOTE: Mammoth Cave is on Central time, which is one hour behind Louisville time. French Lick was always a big attraction for Louisville residents because of Patoka Lake and the natural hot springs found in the area, but it is even more so now that French Lick sports a casino and world-class resort. French Lick is approximately 58 miles and one hour and 15 minutes from Downtown Louisville. Additionally, both Holiday World and Spring Mill are just a short drive from French Lick. While you're there, you'll want to check out the resort and casino, Big Splash Adventure Indoor Water Park, and the horse stables. At just under 100 miles and an hour and a half from Louisville, Cincinnati is a great day trip destination. The top attractions for Louisvillians in and around Cincinnati are Paramount's Kings Island and the Cincinnati Zoo. Another great attraction just outside of Cincinnati is the Newport Aquarium that puts Ripley's Aquarium in Gatlinburg to shame. Other popular Cincinnati attractions include the National Underground Railroad Freedom Center, the Krohn Conservatory, and the River Downs Racetrack. Brown County is close to 90 miles and an hour and a half from Louisville. If you love to shop for arts and crafts, Brown County will be your paradise. Brown County's biggest attraction is its shopping square with hundreds of stores selling handmade gifts. There are also numerous wineries, Indiana's largest state park, and a smaller replica of Tennessee's Grand Ole Opry. If you're craving Gatlinburg but don't have the time for the five-hour drive, a day trip to Brown County may quell your craving for a while. As the home of the University of Kentucky and its status as one of Kentucky's biggest cities, Lexington is sometimes seen as Louisville's rival. However, Lexington is a gorgeous city that's worth a visit, regardless of how much you dislike anything affiliated with the UK. At 80 miles and approximately an hour and fifteen minutes from Downtown Louisville, a trip to Lexington is a great way to escape the city for a while. 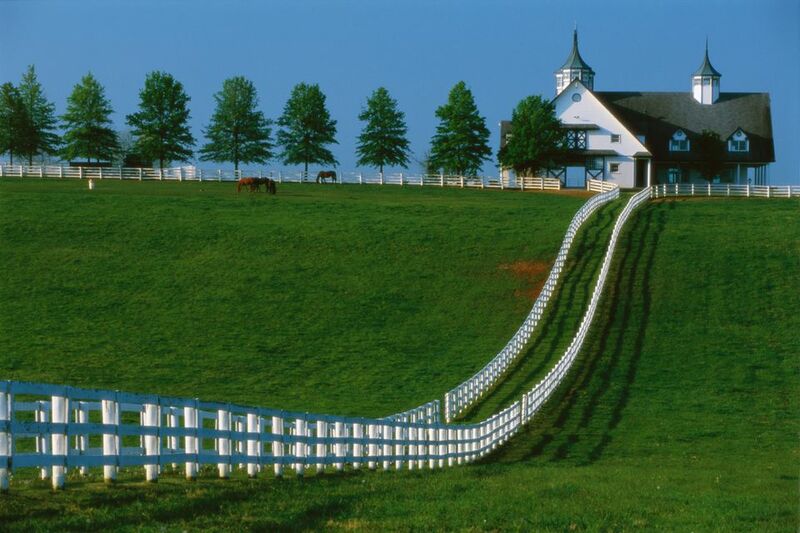 While you're there, check out Kentucky Horse Park, Keeneland Race Course, and Shaker Village, or visit one of Lexington's major distilleries: Woodford Reserve, Buffalo Trace, Four Roses, and Wild Turkey. Holiday World is typically less crowded than the other nearby theme parks and the drive there isn't bad at all. Holiday World is just over 70 miles and one hour and fifteen minutes from Downtown Louisville. Some of the theme park's most popular features are Pilgrim's Plunge (the world's tallest water ride), one of the most popular wooden roller coasters in the world, and Splashin' Safari, Holiday World's gigantic water park. At about 50 miles and one hour from Louisville, Frankfort is a great day trip to make if you're interested in Kentucky government and history. Frankfort is Kentucky's state capital and the site of many state historic buildings, such as the old governor's mansion, the Frank Lloyd Wright-Zigler House, and the liberty hall historic site. Additionally, Frankfort is home to the Buffalo Trace distillery, Daniel Boone's grave, and the Kentucky Vietnam Veteran's Memorial, among other interesting historic state attractions. Spring Mill isn't really all that far away from Louisville in distance (only 64 miles), but it takes about an hour and a half to get there because you have to take Indiana highways through a lot of small towns all the way there. However, Spring Mill is definitely worth the trip. At Spring Mill you can take a guided boat tour of the Twin Caves, you can hike, you can swim in the park's huge pool, and you can camp. There's also an inn if you decide to stay overnight. Corydon is a small town approximately 30 miles west of Louisville that is best known for being Indiana's first state capital. Corydon's Historic District is listed on the National Register of Historic Places, and the town square is filled with buildings that tell the story of Indiana's past. Additionally, there are several quaint craft and specialty shops there where you can find unique treasures for all of your family and friends. If you go, make sure you take a walk through the town square to see all of the historic buildings and landmarks.